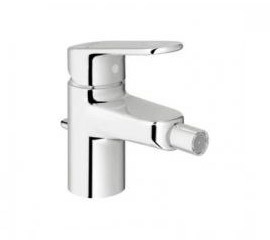 SSingle hole installation, metal lever, Grohe SilkMove, 35 mm ceramic cartridge, adjustable flow limiter, SpeedClean mousseur, flexible connection hoses, temperature limiter, Grohe StarLight® chrome surfaces. 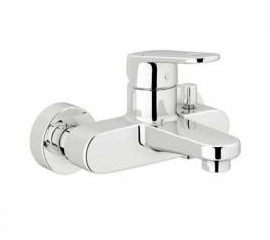 Single hole installation, metal lever, Grohe SilkMove, 35 mm ceramic cartridge, adjustable flow limiter, ball-joint mousseur, flexible connection hoses, temperature limiter, Grohe StarLight® chrome surfaces. 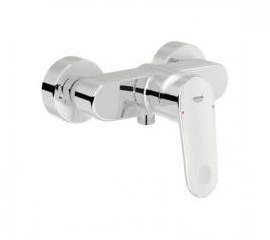 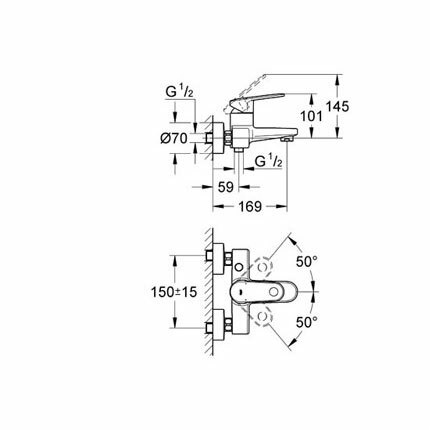 Wall-mounted, metal lever, adjustable flow rate, automatic bath/shower diverter, integrated non-return valve in shower outlet 1/2", S-unions, temperature limiter, Grohe StarLight® chrome surface. 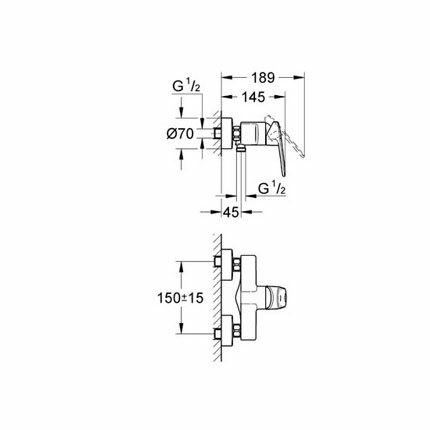 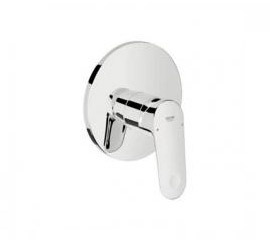 Wall-mounted, metal lever, adjustable flow rate, bottom shower outlet 1/2" with integrated non-return valve, S-unions, temperature limiter, Grohe StarLight® chrome surface. 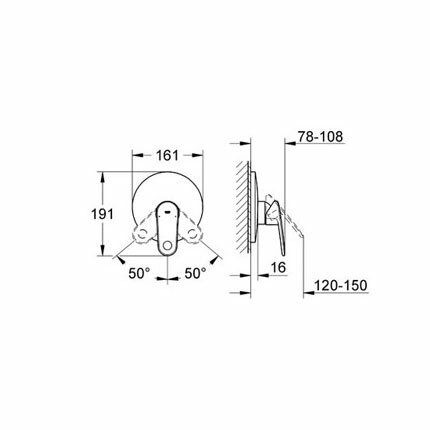 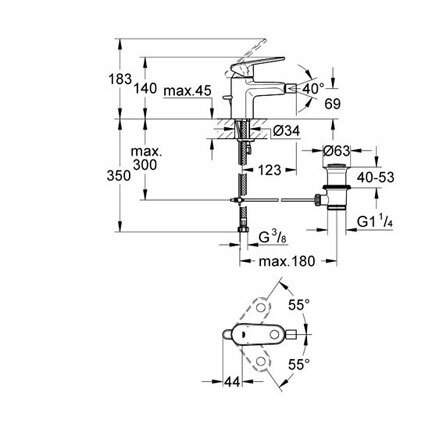 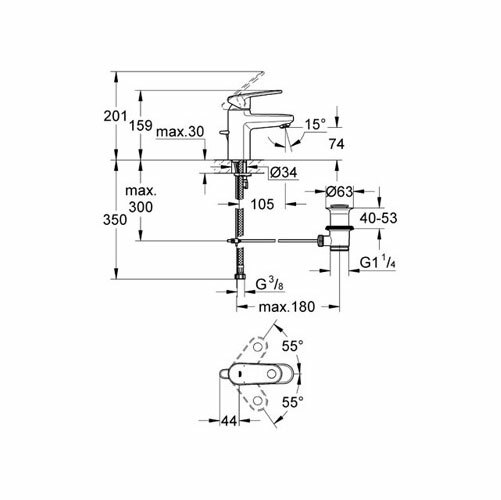 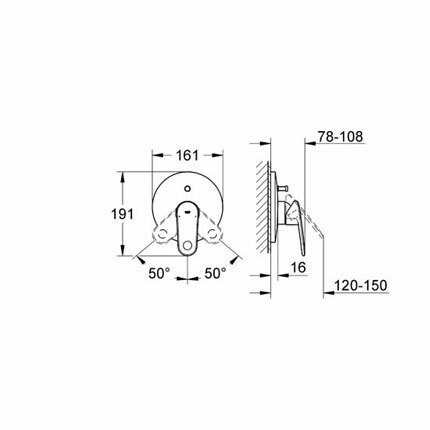 Trim set for 35501000, automatic bath/shower diverter, metal lever, escutcheon and shaft seal, wall-mounted escutcheon, concealed fixture, Grohe StarLight® chrome surface. 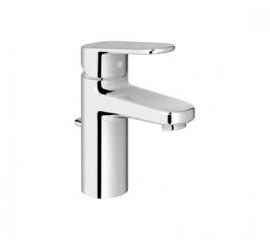 Trim set for 35501000, metal lever, escutcheon and shaft seal, wall-mounted escutcheon, concealed fixture, Grohe StarLight® chrome surface.